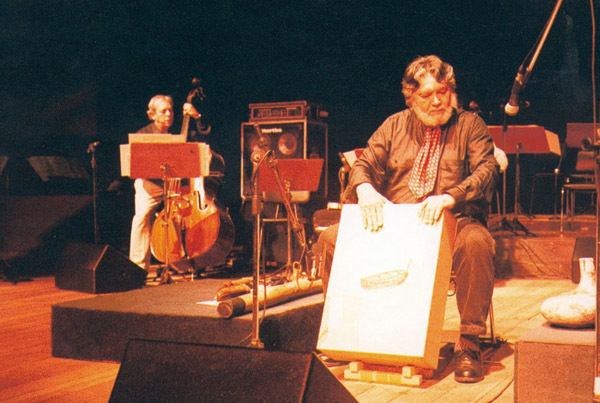 Thiago performing his compositions in a concert at the National Theatre in Brasilia, 2001. Thiago em Concerto no Teatro Nacional Villa Lobos, Sala Martins Penna, Janeiro de 2002. In the background is Prof. Carlos Galvão playing the acustic bass.